Every koi fish lover has wondered about the worlds biggest koi fish. Koi can grow to mind boggling sizes, but this koi fish grew to be so huge that few could believe it. The biggest koi fish is fittingly named Big Girl, and is so large she is three times the size of her owners second largest koi. The average weight a quality koi fish can be expected to reach is around 12 pounds and they regularly get quite a bit larger, but Big Girl shocked everyone with her weight. The worlds biggest koi fish weighed in at 90 pounds in 2007, that is a big koi! That makes her three times larger than any other koi fish in the United Kingdom according to the Daily Mail. You can expect a quality koi fish to grow to reach twenty inches long if given enough space and the right food, but few koi could ever compare to Big Girl. This koi fish easily dwarfs your average koi with a length of four feet. This makes her quite an intimidating fish as she is four times the length of the average koi fish. Big Girl was seventeen years old when she was purchased from a breeder in Japan and has not grown any larger since her purchase. Today she is twenty-three, still plenty young for a koi fish. Koi fish are usually fully grown by the age of three, but some will take up to ten years to reach their full size. Big Girl shocked everyone when she earned the title of the worlds biggest koi fish. The fact that she grew to be so large is a reminder that no one knows just how big they can really get. With the right diet and enough room to grow any koi fish could surprise their owner and overtake her as the worlds biggest koi fish! 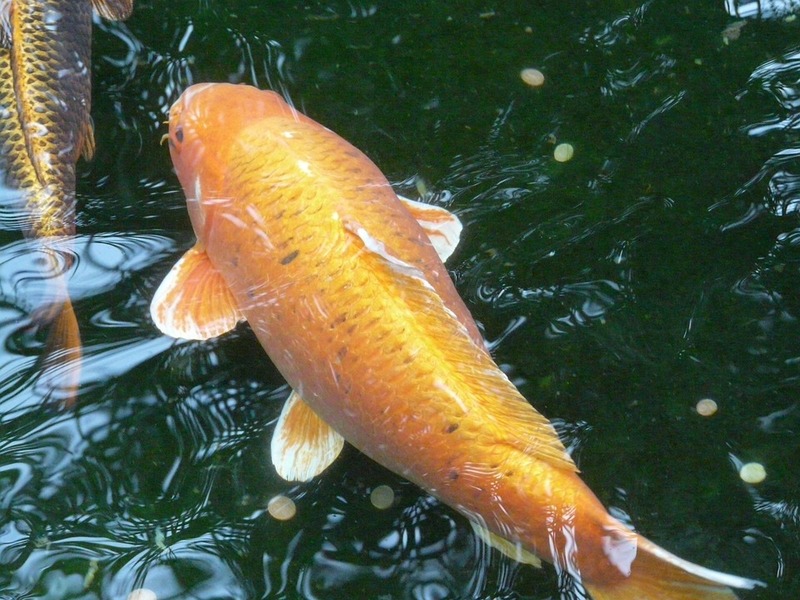 Have any of your koi fish grown to be larger than you thought they would be? Do you want to find out how to make sure your koi get all the nutrients they need to reach their full potential? Check out our article on feeding your koi here.